Ideal for small bathrooms, cloakrooms and small spaces, this stylish and compact DuraSquare Basin with 1 Tap Hole will endow you with joyously refreshing freshening up moments. Beautifully designed by Duravit, this basin is manufactured from top quality DuraCeram and will efficiently serve you over many years. A ceramic covered, continuous flow waste is included with this basin. 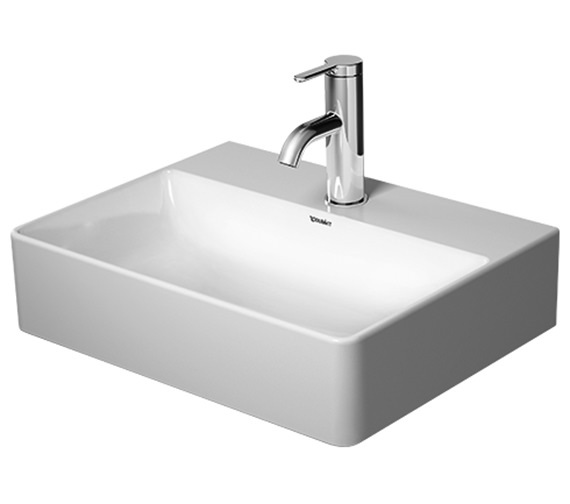 For giving your bathroom a charming appeal, this basin comes in pristine white alpine finish. 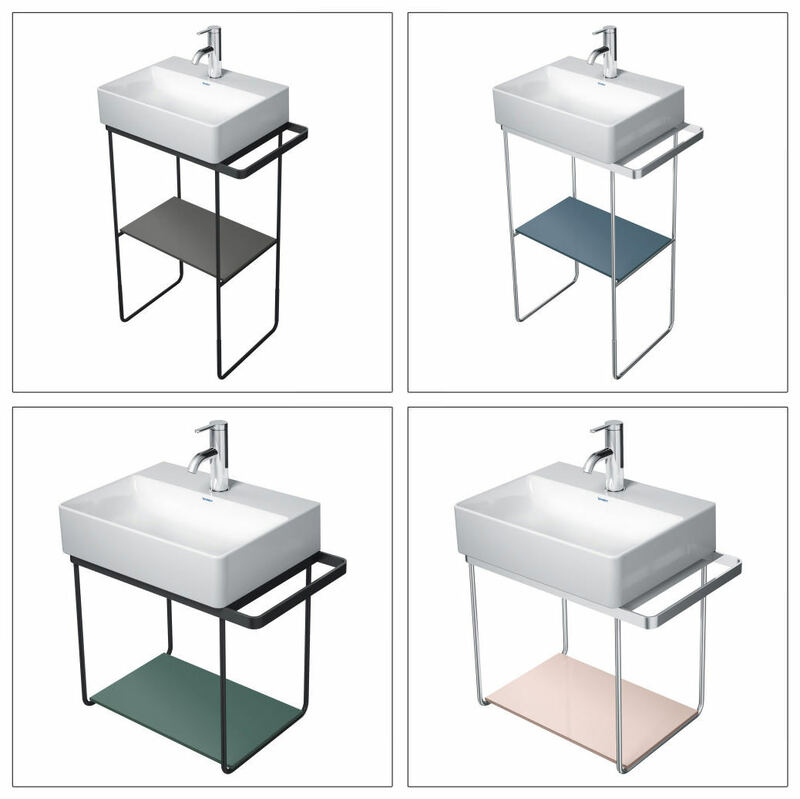 You are fully protected against all manufacturing faults by a five year manufacturer warranty on this basin. Note: * When using this siphon please observe outlet height from upper surface of finished ﬂoor to centre of outlet in accordance with the technical specification image. ** Glass inserts are not included only for metal console - sold separately. Floor or wall mounted metal console with reversible towel rail right/left for washbasin available in 2 finishes, comes with fixings. 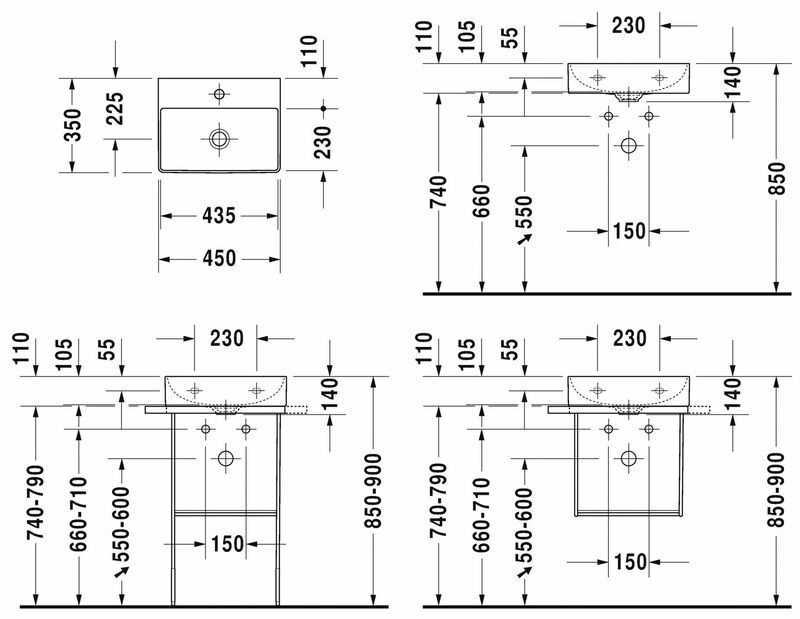 Dimension are Width 516 x Depth 333mm. Please note image is for illustration purpose only. Glass Insert is available in various choice in colours as listed below. You can select the desired colour that suits your bathroom decor. Please note: Image shown is for illustration purpose only. The basin is wall hung - the frame is not load bearing. This basin can be used with or without the frame.